Parker Luxury Home For Sale! – Land & Views for Miles! Beautiful home with views and open space! 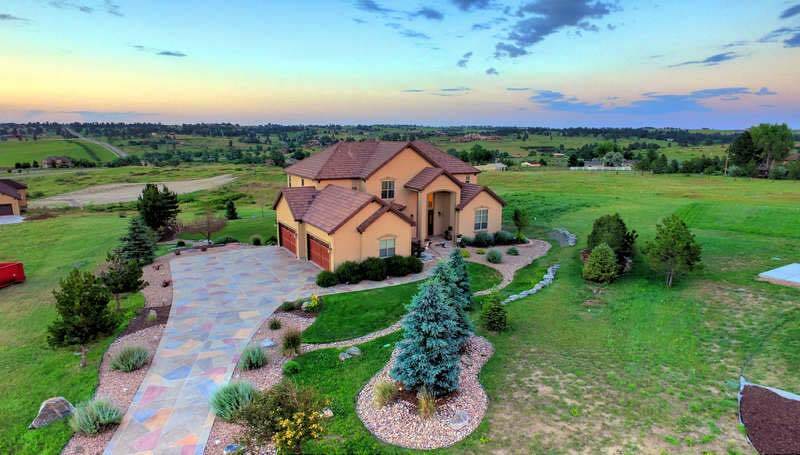 A rare gem of a home in Parker, CO (Spirit Ridge) situated on 1.79 Acres of Land and 4,000 sq. ft. of living space with an additional 1,600 sq. ft. unfinished living space waiting for you to customize to your specific needs. 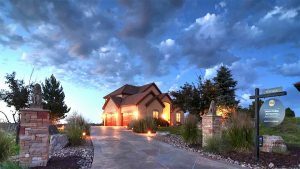 Enjoy views of the Rocky Mountain Front Range from the upstairs bedrooms, deck off of the Kitchen/Family Room, and from the lower paved patio with built in stone fire pit. An extended paved driveway leads to a 4 car garage, 4 bedrooms, 2 main floor offices and custom full size gym with custom built sauna. Easy access to Downtown Parker, CO, Schools, and Denver International Airport, or Downtown Denver via E-470 make this an ideal location for those who seek space and proximity to big city amennities. Ownership in Spirit Ridge brings automatic complementary social membership at Black Bear Golf Club.